This is as good as it sounds. Wow! I do like Vodka Gimlets but this is a whole different ball game. I made individual pies. Six in total. Next time I will make one large pie. Whisk heavy cream in a medium bowl until cream begins to thicken to the point you see ripples and stiff peaks begin to form, 3–5 minutes. Cut 3 limes in half and juice into a fine-mesh sieve set over a glass measuring cup (you should have about 1/4 cup juice). Pour lime juice into another medium bowl and whisk in 7 oz. condensed milk, 1 1/2 Tbsp. vodka, and 1/8 tsp. salt until smooth. 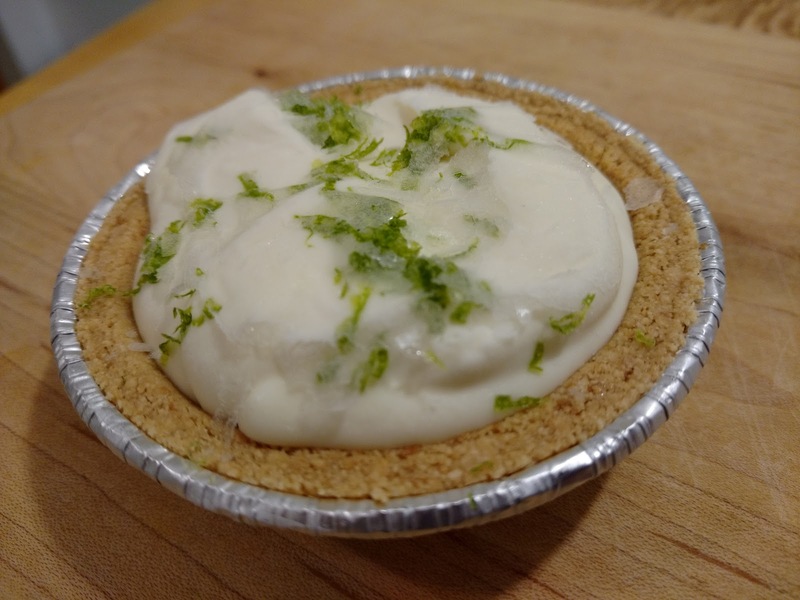 Fold half of the whipped cream into lime juice mixture, carefully folding under and over while turning the bowl. Add remaining whipped cream and continue to fold until no streaks remain. Pour in filling. Gently spread filling to edge of crust. 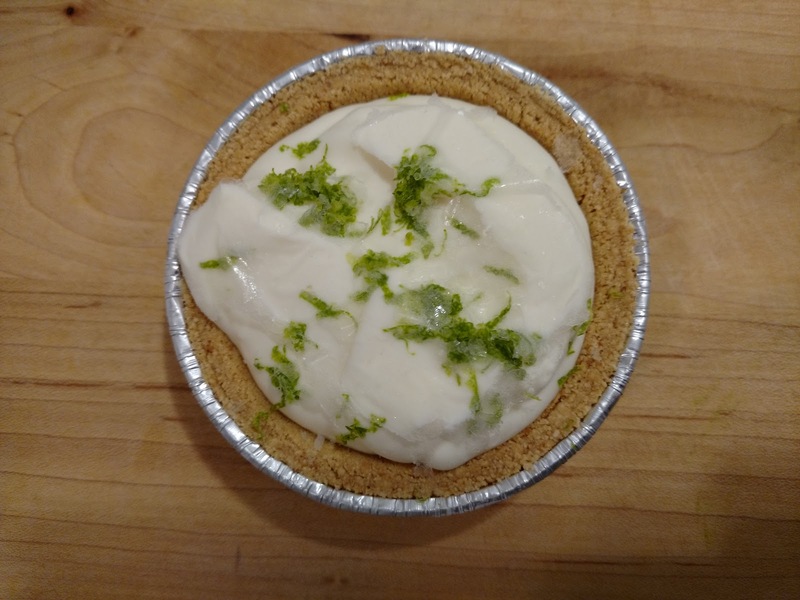 Sprinkle the lime zest over the pie. Freeze pie at least 8 hours, or preferably overnight. This is a variation of a Frozen Margarita Pie found on Bon Appetit. I just prefer this one!